I am having trouble getting a named range to work in the data-validation criteria selection. Is this just not possible in Google Sheets? Not the answer you're looking for? 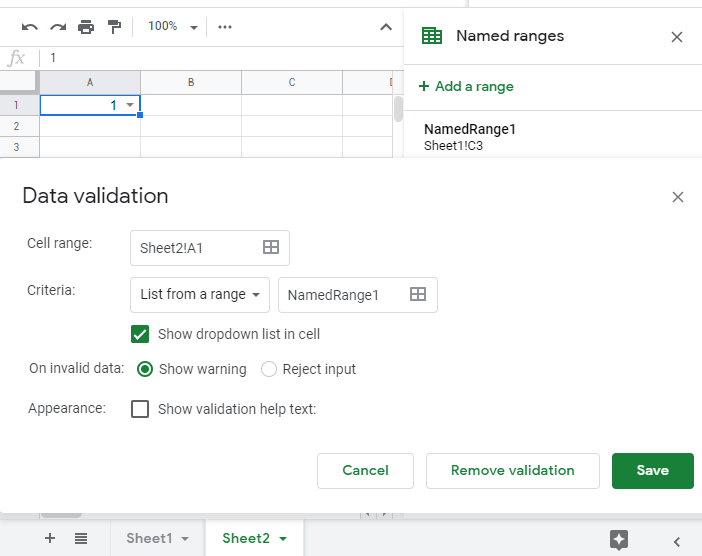 Browse other questions tagged google-sheets google-sheets-named-ranges google-sheets-data-validation or ask your own question.